The Econolite® Chair line is the low-cost choice for delicate budgets and is comparable to those offered by warehouse stores. They are super lightweight and great for household or light duty use both indoors and outdoors. The easy-to-clean plastic top is UV inhibited while remaining stain, heat, and impact resistant. Having a wedding? 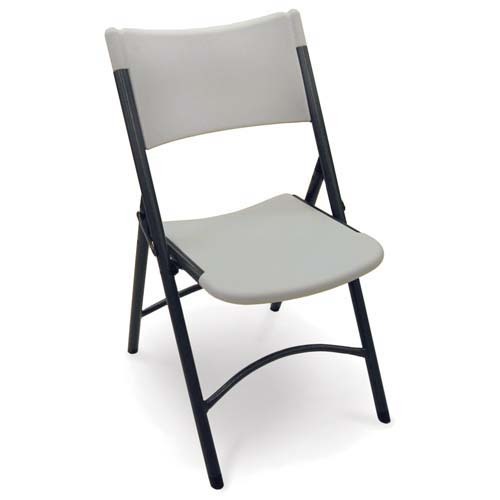 The Econolite® Folding Chair is the perfect low-cost option! The chairs come in two seat styles, so you have some options. You can also easily dress it up with some fabric in whatever color you need to match your venue! Imagine the possibilities! Large outdoor events? Conventions? Music festivals? County Fairs? 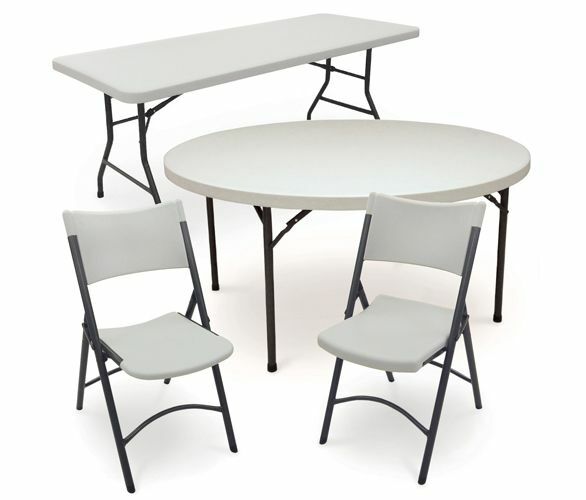 The Econolite® Chair is great for any of these events, and more! Don't hesitate to call McCourt Manufacturing for more details or ordering questions at 479-783-2593 or toll-free at 800-333-2687! Polyethylene plastic blow molded to a smooth surface with color blended throughout. Formulated for outdoor exposure with minimal fade or thermal stress cracking (indoor storage recommended). Easy to clean one-piece top is hermetically sealed against biological contamination and resists heat and stains. Edge of the table is molded to 1 3/4” thickness. Sturdy 16 gauge 1 1/8” diameter steel tubing with 7/8” diameter leg cross bar and 5/8” diameter central crossbar. The leg brace is 11 gauge 3/4” diameter steel tubing with a gravity lock. Top in speckled light gray with charcoal powder coat finish legs and black non-marring leg caps.